This is a totally off topic post. 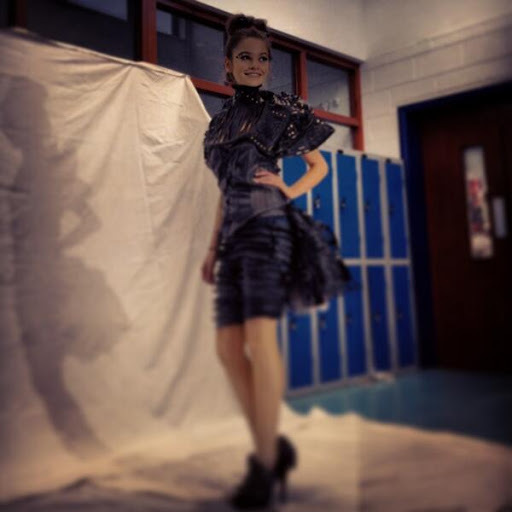 My sister and her friend entered a Irish National competition called Junk Kouture last Winter. The concept behind the competition is to create an outfit that is made mostly from re-used and re-cycled materials. For example, last years winners included outfits made from copper wire, orange peel, Coca-Cola cans and much more. The overall winners piece named Lady Data was made from pieces of computer keyboards. Their piece is called “Tyre-iffic”. They have been working on the outfit since October 2012. 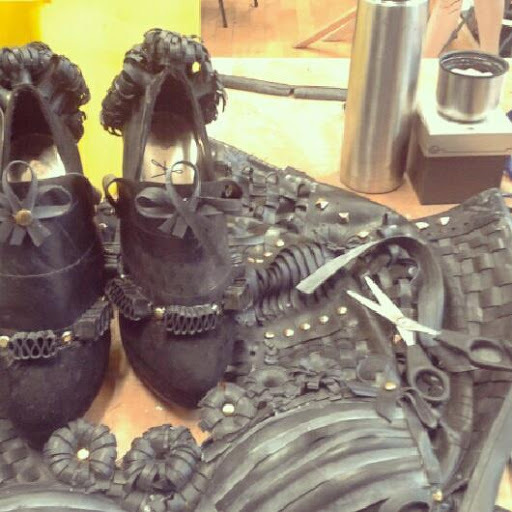 The piece is made primarily from inner tubes found in tyres. They used tubes from bicycles, cars and go-kart tyres. Also as ERP are a major sponsor of the competition, entrants are encouraged to use recycled electronic materials so they incorporated blown and damaged fuses in to our outfit. Out of over 2000+ entrants they got chosen as one of the final 320 entrants. They were placed with 82 other entrants in to the Western final of the competition in March 2013. The event took place at the Royal Theatre Castlebar. Backstage each group was visited by one of the judges – TV presenter & fashionista Darren Kennedy, model Faye Dinsmore, fashion design expert Tracey Fahey & Yvonne Holmes from ERP. Yvonne visited theirgroup but they also got to chat to Faye, Darren and the presenters Cheryl and Emile backstage as they were first to go onstage after the judges entrances. The performance was great and they ended up being announced as one of twenty finals to go to the National final. The final will be held on April 19th 2013 at the Bord Gáis Energy Theatre. I can’t wait to get there and see them perform . If you could please vote for them I would be so grateful! Click here, add your e-mail address and verify it and you have voted. Voting is open now for 2 weeks.